The Donald Trump presidency is continuing to be very good for Stephen Colbert’s Late Show. In early February, he managed to top Jimmy Fallon’s unstoppable Tonight Show in total viewers for the first time ever, and now Entertainment Weekly is reporting that the Late Show got higher ratings than every other late-night show during February’s “sweeps” period for the first time in seven years. Colbert is still just performing a hair better than Fallon in terms of total viewers, and Fallon is still beating him in the all-important 18-49-year-old demographic, but it really seems like Colbert is just continuing to rise. It might just be a matter of time before he’s beating The Tonight Show altogether, but that’ll probably only happen if young people suddenly stop being interested in watching Jimmy Fallon play beer pong with celebrities. 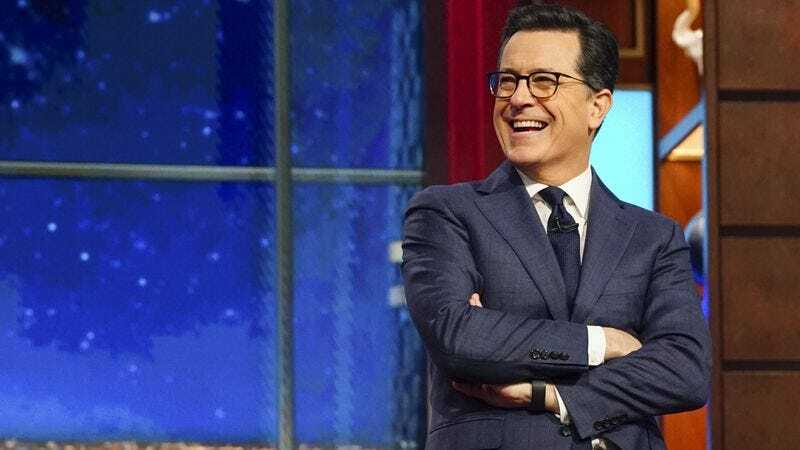 As Entertainment Weekly notes, Colbert’s uptick in the ratings has been mostly thanks to his increased focus on political jokes, echoing the same style of humor he perfected on Comedy Central’s Colbert Report.